Happy Friday everyone! 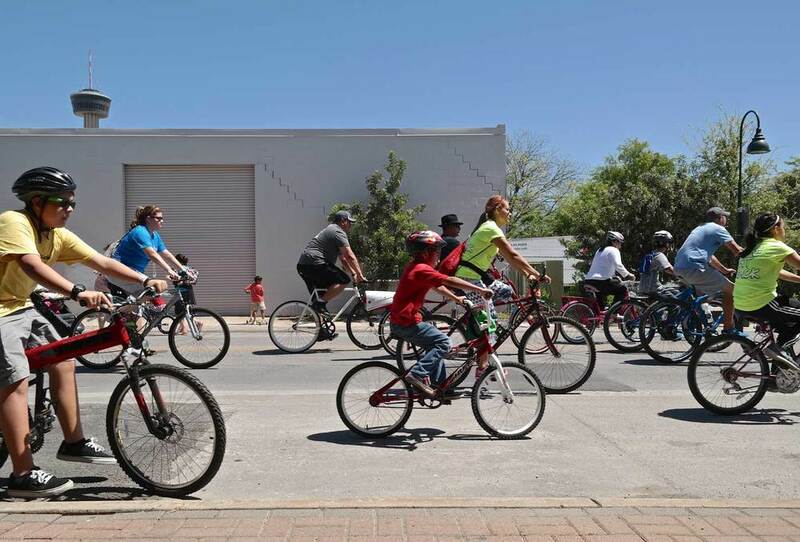 This Sunday, downtown San Antonio will host the 10th Siclovia event that is put on by the YMCA of Greater San Antonio. Síclovía is a free bi-yearly event that includes temporarily closing a major stretch of a city street(s), creating a car-free environment, safe enough for people of all ages, to come and exercise, ride their bikes, walk their pets and play for five hours during the day within an urban setting. Since our office is right in the middle of this year's route, we will be opening our office for visitors to come in and visit with a couple of our staff who will be there throughout the day. We will also be handing out free waters and snacks to anyone who is participating in the event. The weather should be perfect so we highly recommend coming down and being a part of this great tradition that aims to promote healthier living while having fun. The streets will be closed along the route starting at 11am and will then reopen at 3pm. For more information, please visit the Siclovia website below. We hope to see you there!